Move over, cold cereal. 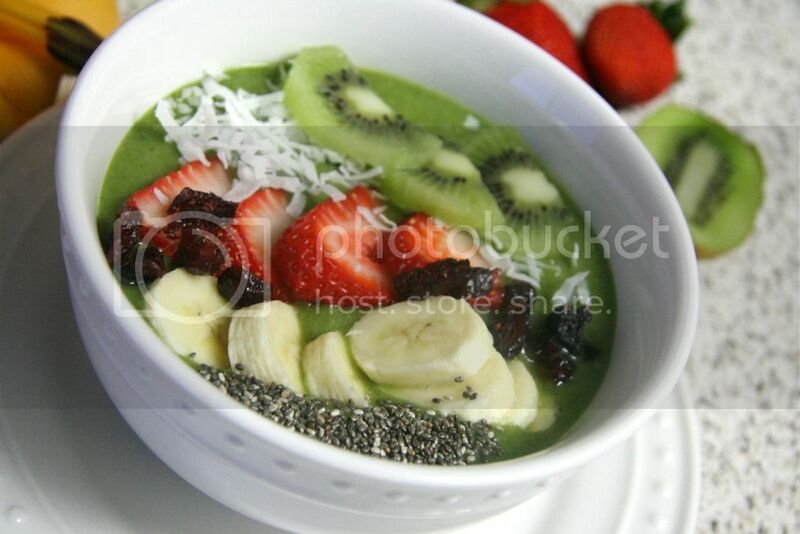 The smoothie bowl is in the house! Skip the mundane breakfast choices, and jump start your day with a refreshing, delicious and tasty smoothie bowl. 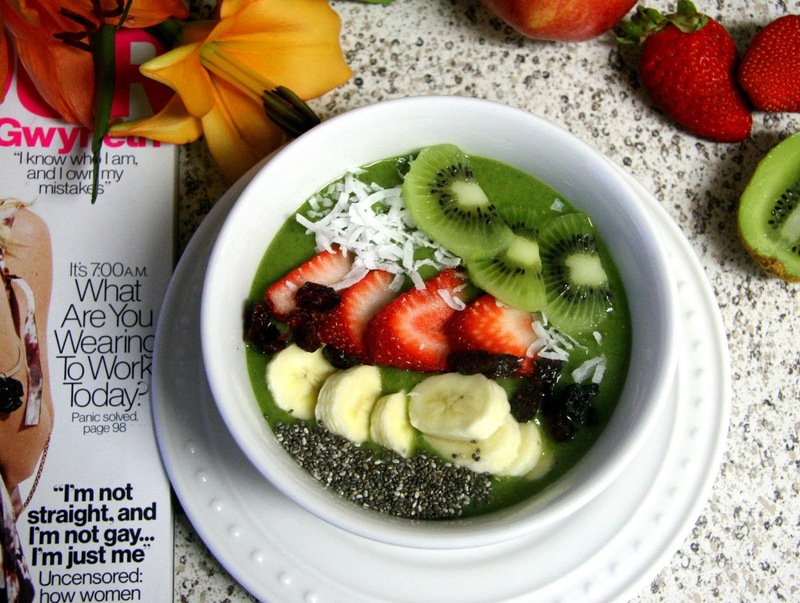 You may be wondering, what is a smoothie bowl? A smoothie bowl is a unique blend of thick fruits and/or vegetables, mixed with water, milk, yogurt or even ice cream.The blend is then topped with either fruits, nuts and seeds then poured into a bowl. Yep, you guessed it it's a fruit soup. A chunky fruit soup if you add tasty toppings. Smoothie bowls are a refreshing way to start the day of right with a dose of both fruits and vegetables. You'll need a good blender, fresh or frozen fruits and vegetables, tasty topics, and an appetite. Here's how I created this delicious smoothie bowl. 1. Add all smoothie ingredients to a blender and blend until creamy and smooth. Add more water (or milk) to thin. 2. Taste and adjust flavor as needed, adding more ripe banana (or honey/agave) for added sweetness, more spinach for a bright green hue, or more yogurt for creaminess 3. Divide between 2 serving bowls and top with desired toppings!4. Best when fresh, leftovers can be kept in jars or glass bottles in the fridge for up to 1-2 days. 5. Enjoy this delicious-ness in a bowl!